An in-depth interview with Waris Hussein, Doctor Who‘s very first director, talking at the British Film Institute. Waris Hussein joined BFT to discuss his remarkable career, from working with actors such as Anthony Hopkins, Ian McKellen and Shirley MacLaine to experiencing TV production on both sides of the Atlantic. Accompanied by clips of his finest work, Hussein discusses key productions such as the suffragette-inspired Shoulder to Shoulder, the Emmy-winning Copacabana, the Frederic Raphael-penned The Glittering Prizes and the BAFTA-winning Edward & Mrs Simpson. The cover of the magazine and the cover inside the polybag. 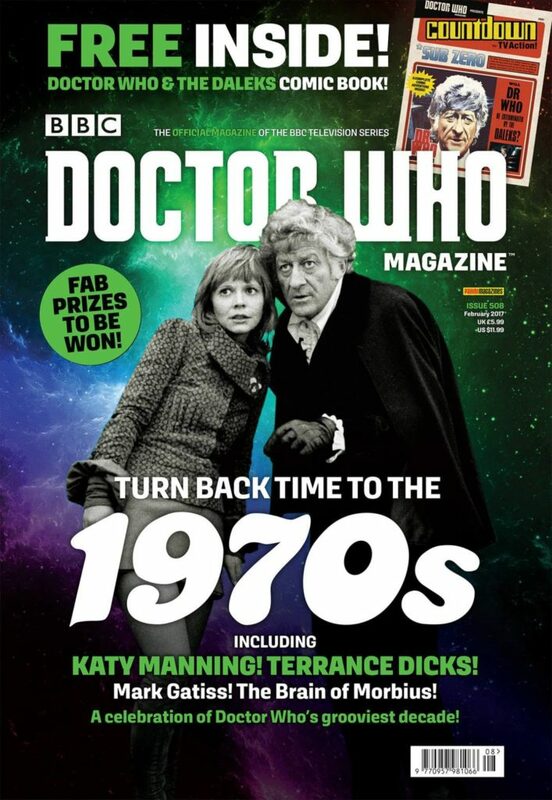 The issue goes to 1970s and includes a special joint interview with Mark Gatiss and Katy Manning. 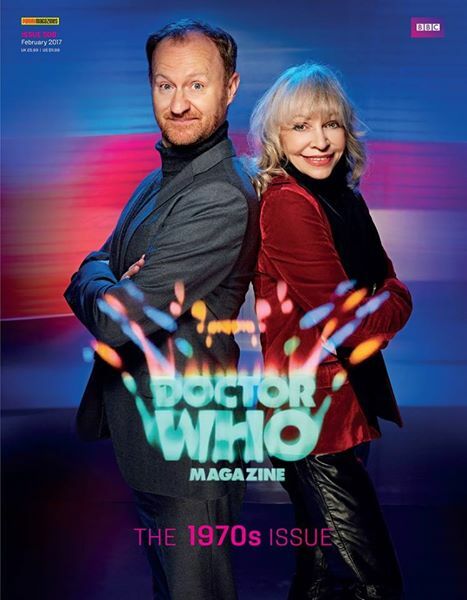 And there’s a look at novelist and scriptwriter Terrance Dicks and the fourth Doctors mind-bending episode ‘The Brain of Morbius’. It will be out tomorroy, Thursday 12 January. Justin and Charity sit down and tell with the guys from the BBC about taking care of babies, saving the world, and the 2016 Doctor Who Christmas Special – The return of Doctor Mysterio. 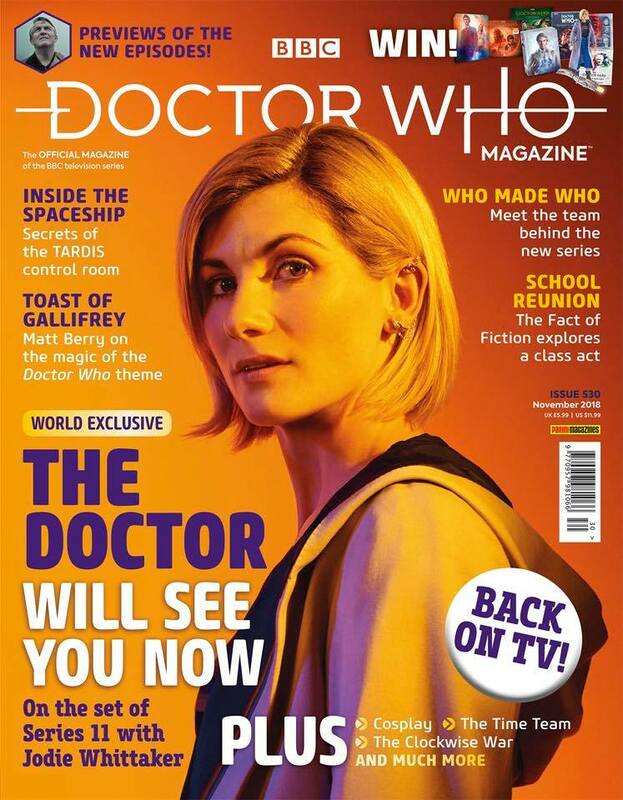 Peter Capaldi was interviewed by Sophie Raworth (who appeared as a newsreader in “The Power of Three”) on the BBC’s hard news programme The Andrew Marr Show. 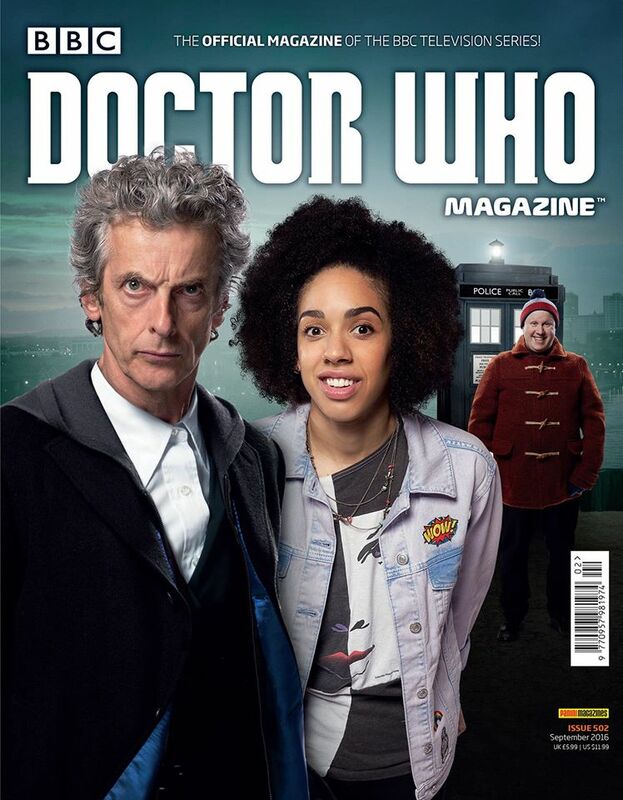 The comedian Matt Lucas talked on The One Show on 15th of December about the return of character Nardole, Series 10 and this years Christmas special episode The Return of Doctor Mysterio. 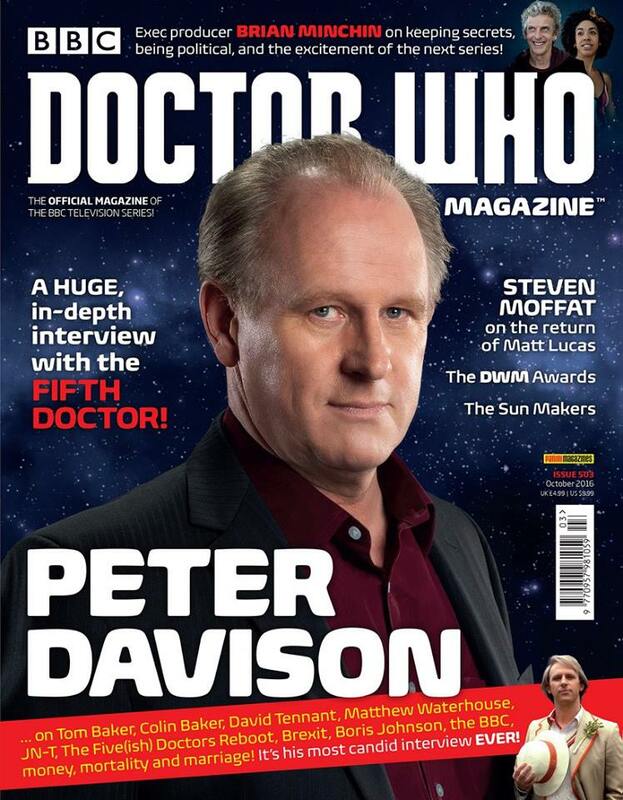 Peter Davidson return to Doctor Who magazine, in this issue out yesterday you have a huge in-depth interview with the Fifth Doctor. 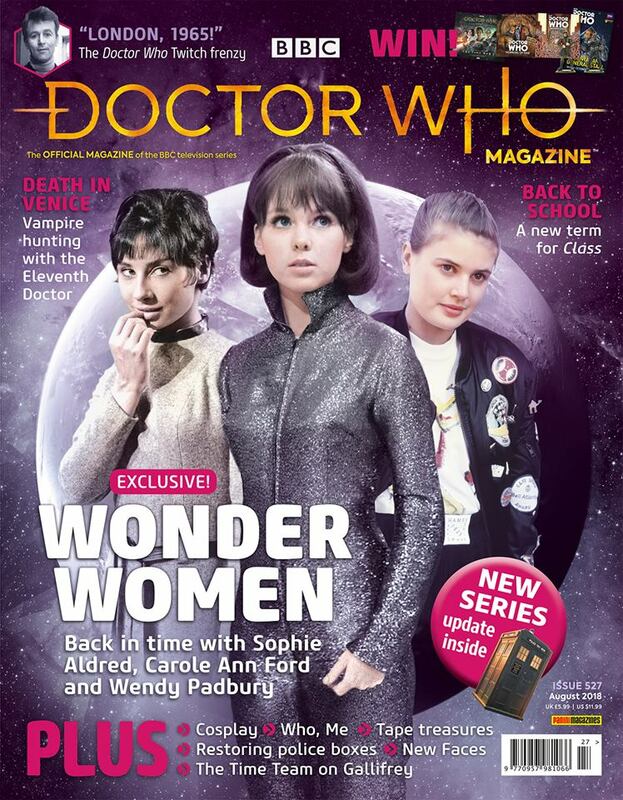 Also, Steven Moffat talks about Matt Lucas and you find out more about the DWM awards. 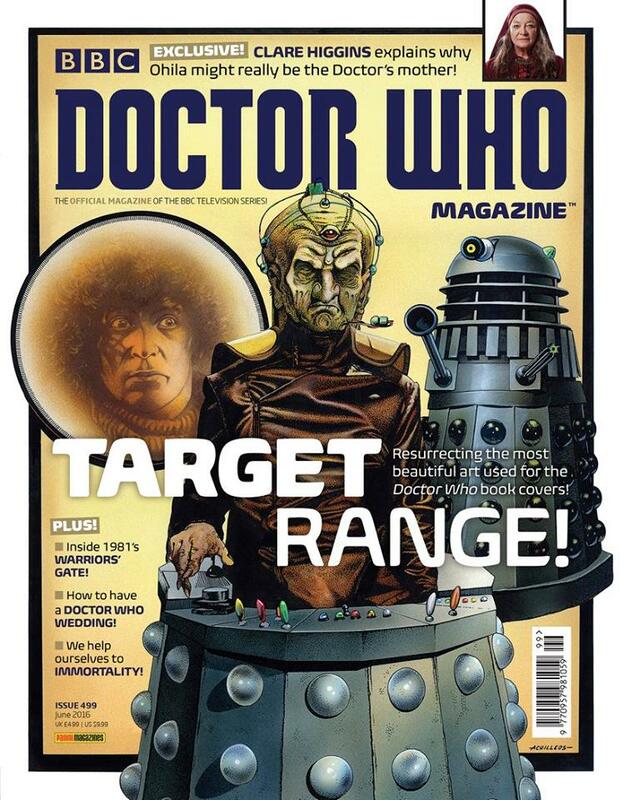 This is how subscriber exclusive cover looks like. 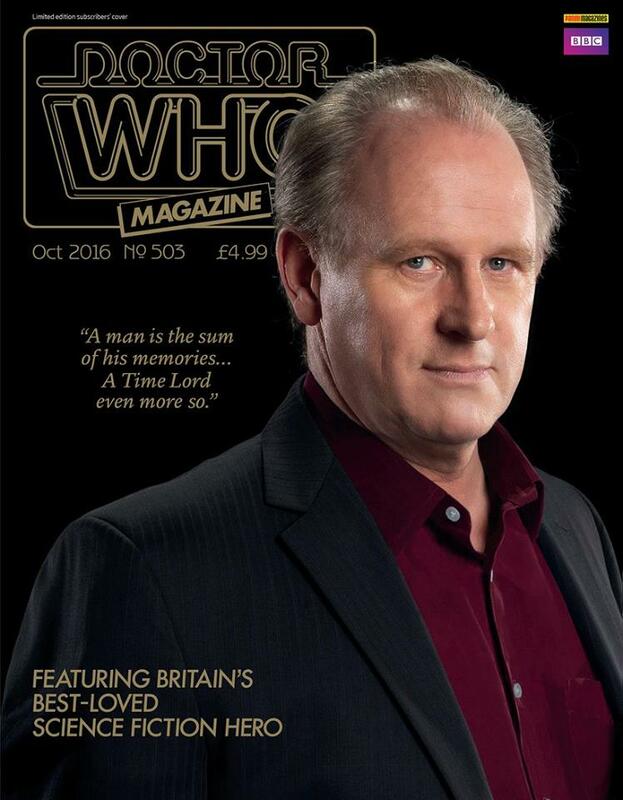 The newest edition of the Doctor Who Magazine is out this Thursday, 28 July 2016, and it’s jammed pack with interviews, features, giveaways and more. Price £5.99 UK and $11.99 in the US. Russell T Davies makes a return trip to the TARDIS for the arts TV series The South Bank Show: the man behind Queer As Folk, Cucumber, Doctor Who, and Torchwood talks to Melvyn Bragg. Let’s watch Warwick Davis talking about Karl Pilkington, An idiot abroad, Star Wars, The Force Awakens, Han Solo’s death, Virtual reality, Doctor Who, New musical Eugenius, Willow sequel hopes and more at the MCM Comic Con in London. 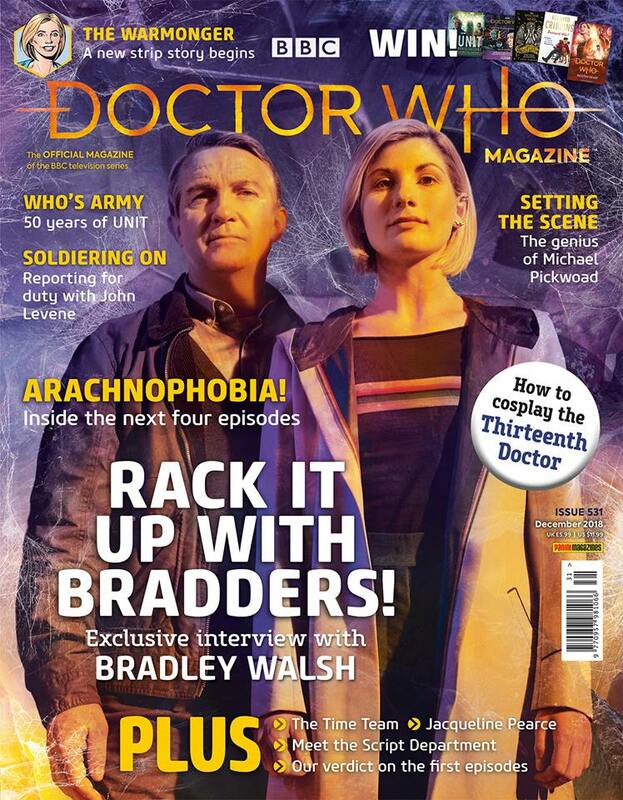 Doctor Who Magazine Issue 499 of Doctor Who Magazine will be published on Thursday 28 April, price £4.99, and it’s resurrecting the most beautiful art used for the Doctor Who book covers. You get inside 1981’s warrior gate and you find out how to have a Doctor Who wedding. 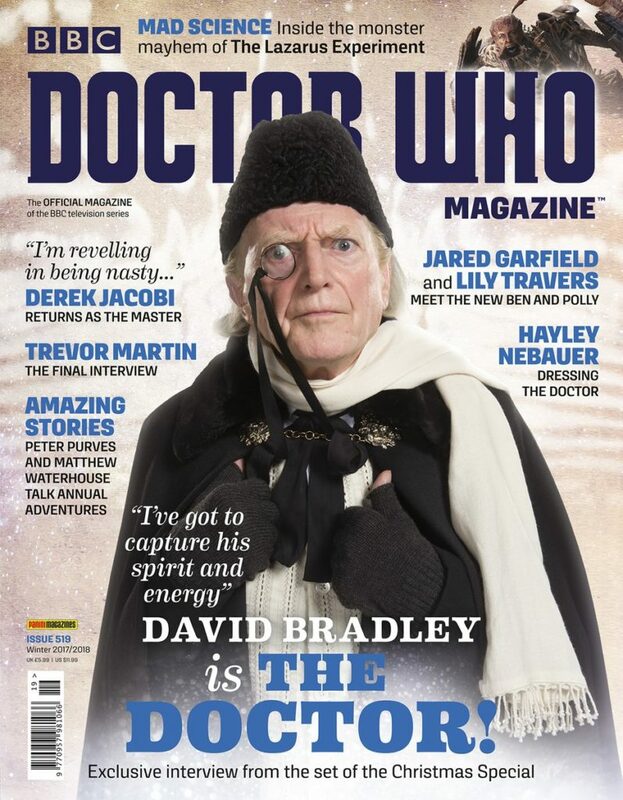 In an exclusive interview Clare Higgins explains why Ohila might really be the Doctor’s mother.